This programme is not a succession of poliphonic pieces nor is it the reconstruction of a liturgical service. 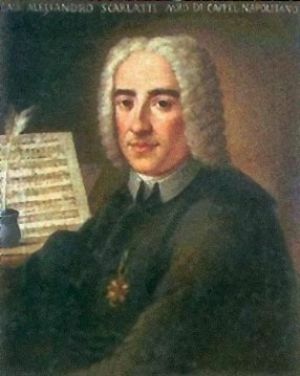 Alessandro Scarlatti’s Responsori, which do not alternate according to any layout, recall a deeper unity: that of the Easter spirit. Here only the Easter Saturday nine are to be found. The organ pieces are supposed to give respite to the Responsori and encourage meditation on the incisive images of Christ’s death and the ideal account of Jesus’ passion ends with an act of contrition, the Miserere. The Responsori have intensely spiritual texts, which has aroused interest in many composers through the centuries (among the most famous, those of Gesualdo). Alessandro Scarlatti’s compositions are of a very high level to our way of thinking. La Stagione Armonica has begun to study them starting from the transcription of the only manuscript not autographical we received, at present to the Bologna Accademia Filarmonica which contains the Responsori and other compositions for the Holy Week, as well as the Miserere sung by the four voices unaccompanied that ends the programme and where Scarlatti puts into music only the first and fourth verses of Psalm LVI. Scarlatti reveals here a very great contrapuntal capacity, both modern and expressing with deep emotional drive Christ’s passion, touching examples of man’s difficult life path.